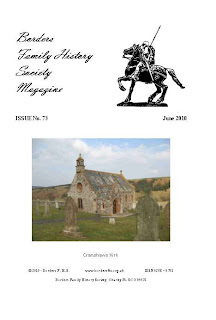 August 2011 sees the 200th anniversary of the death of Dr John Leyden, the famous poet and Orientalist from Denholm in the Scottish Borders. Dr Leyden was a great friend of Sir Walter Scott and it is said that after his death, Scott could never talk about Leyden without a tear in his eye. He really appears to have been a most remarkable man. 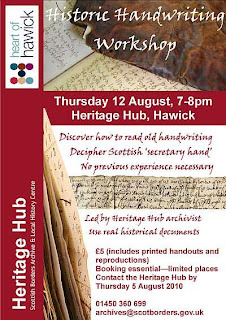 Over the next year, one of our members, Marjorie Gavin, who has served our Society both as Editor and as Chairman, and has transcribed births, marriages and deaths overseas from the Hawick Advertiser and Kelso Mail, hopes to visit as many groups and organisations as possible to talk about the life and achievements of the great Dr Leyden whose story deserves to be more widely known. 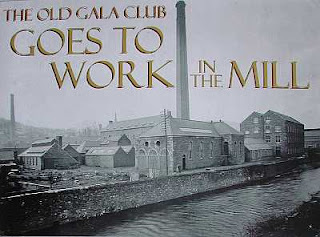 If you have any memorabilia or documents relating to Dr John Leyden that might assist her in this task please contact her by sending her a private message in our forum or replying to her forum topic. 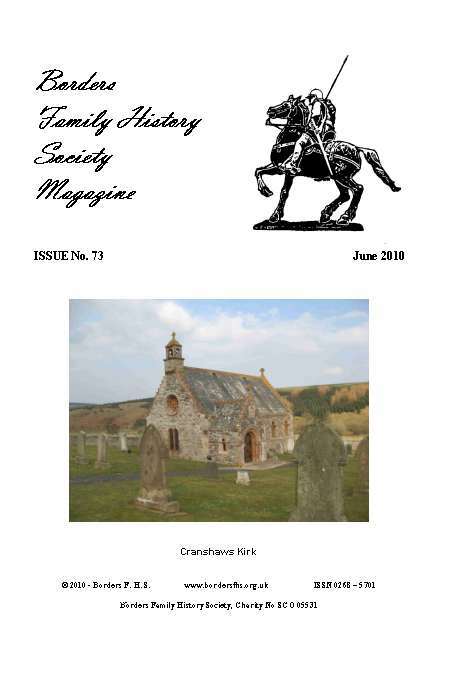 More about Dr Leyden is in one of Marjorie's articles, The Life and Family of Dr. John Leyden. A fine day on Saturday, 3rd July 2010, after the morning rain. Surprisingly few people turned out to see the procession of more than 300 horses led by Galashiels Ex-Service Pipe Band down Channel St, Galashiels, though a lot were congregated in and outside the pubs near the War Memorial, at the corner of Market St and Bank St.
After the lead rider, the two riders are this year's Braw Lad, Greg Borthwick, and his Braw Lass, Katie Scott. After the procession, you can see people congregating round the Burgh Chambers, and the War Memorial with its fine mounted rider statue. 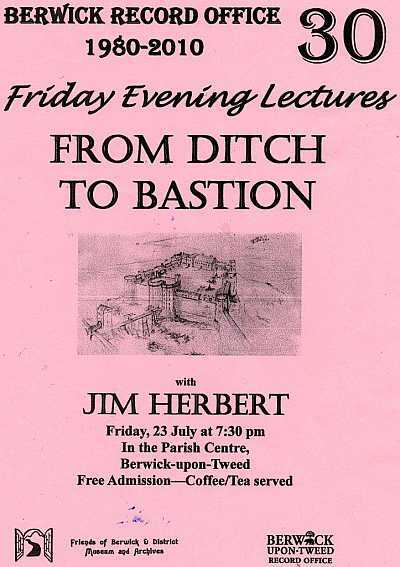 The next Friday evening talk to celebrate the 30th anniversary of Berwick upon Tweed Record Office will take place on Friday 23rd July at 7.30 pm at Berwick Parish Centre, Berwick-upon-Tweed, TD15 1DF, England. Map. It's next to Holy Trinity Church. 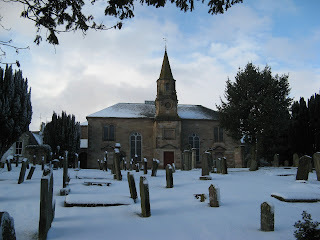 Entrance is through the churchyard. The suggested car parking is near the Barracks and Wallace Green. 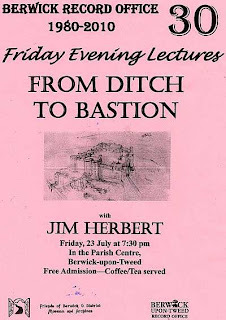 Jim Herbert will speak on From Ditch to Bastion, the history of Berwick’s famous walls and defences. 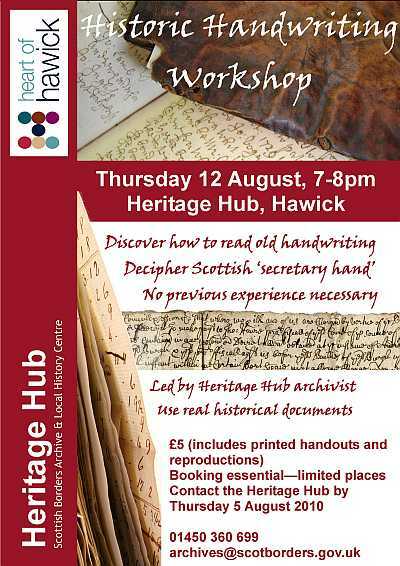 Everyone is welcome, whether you are a local resident or holidaymaker and admission is free.